Serving Delaware, Northeast Maryland and Southeastern Pennsylvania for over 20 Years. 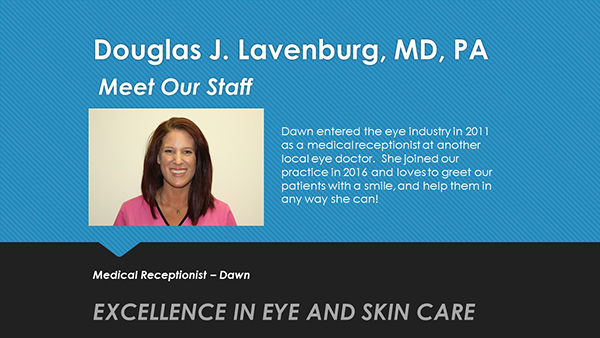 At Lavenburg Medical Group, we offer a full-suite of both eye care and skin care services using cutting-edge technologies. Our certified ophthalmologists are experienced in diagnosing and treating eye diseases, such as cataract and glaucoma and are supported by our trained and certified team of specialists who have years of experience in all types of eye and skin care treatments, including microdermabrasion and laser skin care. Our commitment is to bring you the benefits of the latest advancements in eye and skin care technology by always ensuring that our facilities and equipment are at the cutting edge. By using Wavefront technology in our LASIK procedures our surgeons are able to get precise measurements with a unique eye map. This allows our LASIK surgery procedures to correct refractive errors like myopia and astigmatism to a higher degree than ever before and allows most patients to achieve 20/20 vision with our LASIK surgery techniques. We are able to offer more people than ever freedom from eyeglasses and contacts as in addition to a full range of Laser Eye Surgery procedures our eye care specialists also offer advanced IOL, intraocular lens implantation, which is an implanted lens in the eye and offers permanent vision correction. Our eye and vision exams are comprehensive and include a visual acuity test, eye function test and eye health test. The visual acuity test determines your reading and distance sight acuity. With the eye function tests, our ophthalmologists evaluate your peripheral vision, eye team tracking, eye muscle capabilities and color vision. And with our health tests, we evaluate the health of your ocular structures and check intraocular pressure for signs of glaucoma. In addition to our top of the line vision care we also have a full range of cosmetic and skin care treatments available. Say farewell to sun-damaged skin, wrinkles, liver spots and wrinkles with our laser skin care treatment. This innovative technology removes damaged layers of skin layer by layer and fires up the production of collagen for firm and youthful-looking skin. You can transform your skin from dull and aged to bright and young with our Obagi System skin care products. This system works at the cellular level to remove dead skin cells, reduce age spots and enhance collagen and elastin for a more youthful look. This physician-prescribed treatment takes about six weeks for optimal results. Week to week, you’ll begin to gradually see tightening of the pores, diminished wrinkles, more even skin tone and firmer skin. 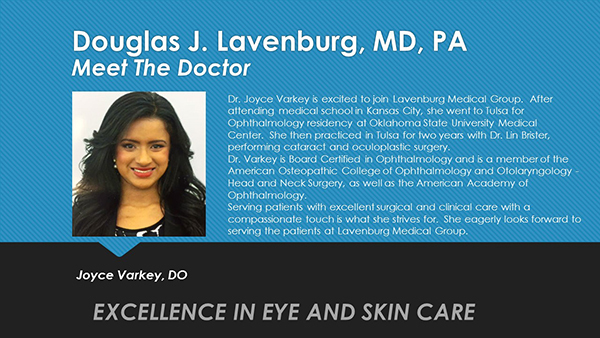 Turn to Lavenburg Medical Group for all of your eye care and skin care needs. Time for an eye exam? Need a new pair of fashion-forward frames? Looking for younger-looking skin? Give us a call to schedule an appointment for a one-on-one consultation or just call us to learn more about our unique, blended services – eye care for you and your family and great looking skin.